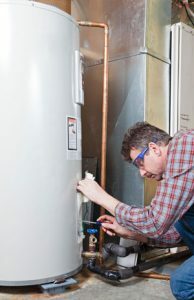 Did you find a puddle under your hot water tank? Did you have an unpleasant experience with cold water while taking a shower? A-Right Plumbing will make those a thing of the past. We do emergency water heater leaks. From the moment you make the call to our licensed master plumber at A-Right Plumbing, we will be at your residence and ready to work. Don’t go another day with cold water. We are there for you when you need it most with our 24/7 emergency service!